Proper placement of ambient lighting is necessary to provide sufficient illumination within a room. 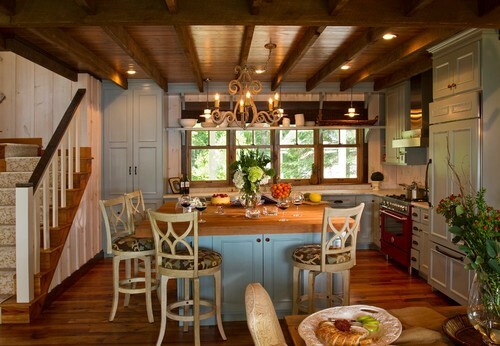 However, there are homes in which you may find a chandelier or a ceiling pendant which is somewhat off-center. Good news – you don’t have to bear with this. You can visit a nearby hardware store and get a swag kit to solve this problem. This handy lifesaver is inexpensive and very easy to install. With just a few steps, your chandelier or ceiling pendant will be right where it is supposed to be. Turn off the electricity at the breaker box for the overhead fixture. Remove the finial or bolts that lock the overhead fixture. Access the mounting bolts by disassembling the dome lights. Chandeliers usually have mounting bolts on a base plate. You need another person to help you take the pieces as you disassemble the fixture and to support it. Take off the mounting bracket spanning the ceiling box. Next, remove the wire nuts, detach the wires, and put the old fixture aside. Use the wire nuts to recap the supply wires. Drill a hole in the ceiling approximately 1/8 to 1/2 inch in diameter. The hole should be large enough to allow the folded toggle. Place the swag kit’s double-ended bolt into the toggle, twist it closed and ease it through the hole center first. Open the wings behind the wall by twisting the bolt to the left then twist the base of the hanging hook onto it. Measure the distance between the ceiling box and the hook then add the length of the drop. This is the length from the ceiling to the lighting fixture. Then add half of the distance from the ceiling box to the hook. Create the swag by cutting that length of wire and a matching length of chain. Thread one end of the swag wire into the middle of the mounting bracket. Attach the swag wire onto the supply wire inside the ceiling box. Match black to black and white to white wires. Twist together each pair of the wires then cap them with a wire nut. Fasten the mounting bracket across the ceiling box with the two bolts that are included in the swag kit. Drill a hole in the cover plate then insert the threaded collar through it. Thread the wire into the mount and plate and affix the plate to the ceiling box or mounting bracket. 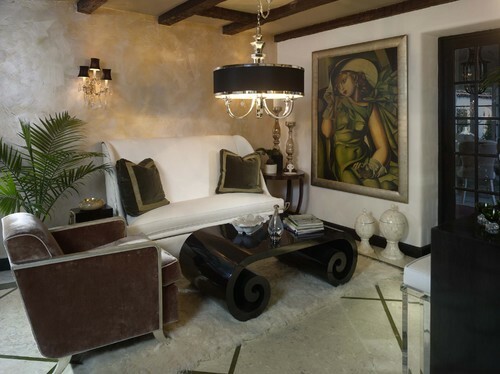 Weave the wire through the chain and attach the end of the wire and chain to the pendant or chandelier fixture. Catch the chain on the hook so it hangs from the ceiling plate to the hook and your chandelier or pendant light “swags” at the desired length below the hook.